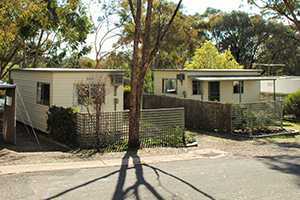 Holiday accommodation in Maldon for everyone, even the family pet * (Conditions apply). 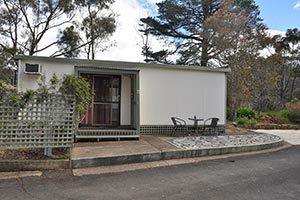 Our caravan park in Maldon, offers modern self-contained accommodation in cabins, sleeping from 2 to 6 with their own kitchenette, bathroom, TV and modern split system air-conditioning (heating and cooling). 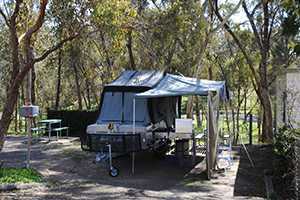 Nestled amongst the gums and shrubs, we offer a variety powered and unpowered sites for tents, caravans and RV’s. The amenities contain generous showers and toilets with private baby change room and fully equipped laundry. Entertain the whole family in our games and recreation room, with games for all ages. 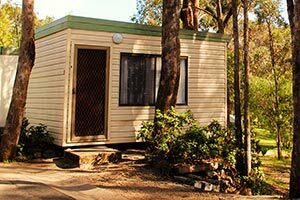 Finish off with an Aussie barbeque in our free undercover camp kitchens, fully equipped with everything you need for this traditional event. 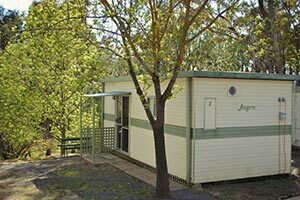 Our camping sites at Maldon Caravan Park are pet friendly, so everyone can enjoy the holiday break. 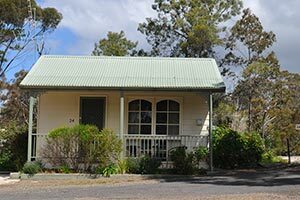 Maldon gold country - close enough for a weekend getaway and plenty to do on longer trips. 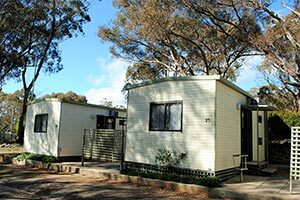 Australia’s first notable town, Maldon is a quaint country town, just under 2 hours drive northwest of Melbourne, between the larger towns of Bendigo and Ballarat. The town has been settled along the foothills of Mount Tarrengower and the surrounding district is a mixture of agriculture, pastures and mining. Bursting with history, Maldon was part of the gold rush of the mid 1800’s. 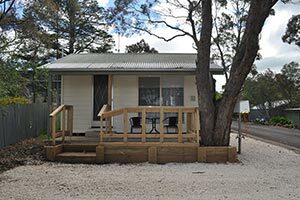 It is an unhurried country town with reminisces of days past, wide streets, shop fronts with veranda’s, miners cottages and friendly locals. So much to do, so peaceful. So much to do in Maldon. 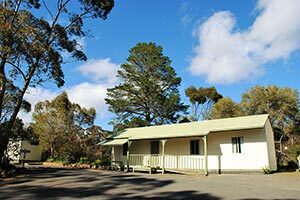 Maldon is fun anytime of the year – with activities planned all year round from home-made, home-grown monthly markets, steam train rides, gold mine tours, craft beer and local, fresh gourmet food to taste, hill climbs up Mt Tarrengower, or take in the serenity of the district views. * Pets welcome on camp sites only. Subject to our Pets Policy.